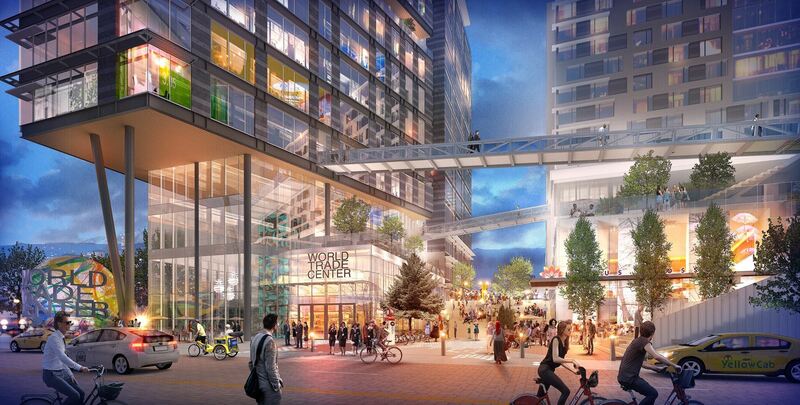 Opening in 2020 in Denver’s RiNo Art District, your new World Trade Center campus will include state-of-the art conference center and training facilities, a flagship business hotel and globally-themed restaurants and retail stores. It will be both the headquarters for established global companies and an incubator for aspiring global entrepreneurs. An exciting and vibrant international hub in the heart of Denver. Your headquarters, or simply a global division, can be here too. Choose from co-working or independent office space, and join a thriving ecosystem of like-minded professionals. Contact Karen Gerwitz to discuss tenant opportunities at 303-592-5760 or Karen.gerwitz@wtcdenver.org. © Copyright World Trade Center Denver 2019. All rights reserved.